I’ve recently become obsessed with plants. I’m not talking about the good old “prayer hands” or the creeping philodendron that is lining the edges of your ceiling. I’m talking about succulents and cacti. Those weird, prickly plants that grow best when neglected. Don’t water them; don’t talk to them; don’t even look at them, and they grow! I don’t know what it is about them, but they are the most amazing thing I have ever seen. And it’s odd because I grew up with them in my backyard my entire life and I never really paid much attention to them until recently. I wonder if it’s because my frontal lobe has now completely developed and matured where I can admire the things around me. Or maybe because I really like seeing those incredible Instagram pics of all these plants together. Or, not to get all spiritually woey on you, maybe it’s because there is something each one of us can relate to in this dangerous species of plants. And I love that he used the word rooted, or in the Greek “rhizoo”, which means to become stable. Have you seen cacti? They grow at an average rate of 1 inch every 8 years! Now that’s what I call stable. Slow. But stable nonetheless. Our circumstances can often unroot us from remembering the promises God has for us. Sometimes, waiting on God in harsh environments, and valleys of the shadow of death, and times of neglect from the people we love, can often break us. But it doesn’t have to. It doesn’t break the cactus. That stable, rooted plant that grows even in the harshest of environments. In fact, I believe it grows and overflows with thankfulness to the Father. Why shouldn’t we do the same? Prayer Prompt: Holy Spirit, would you search my heart and show me the areas of my life that are still not rooted in Christ? 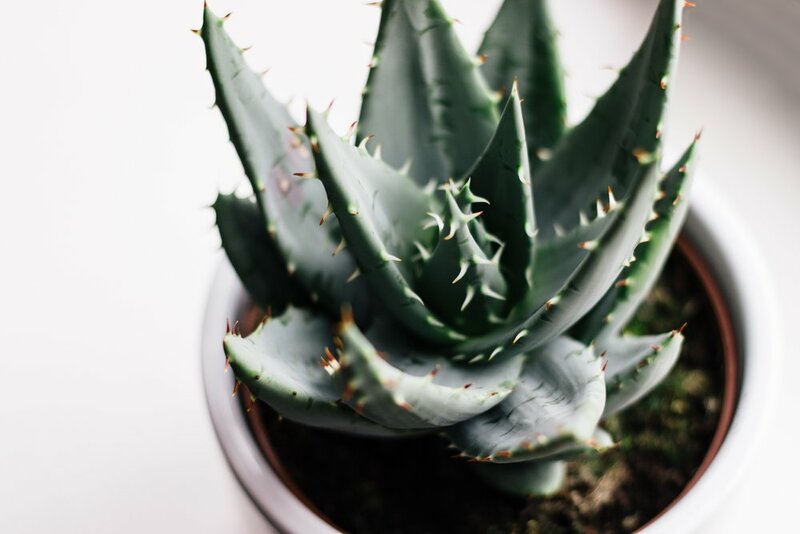 Teach me to be like a cactus, that despite my circumstances, whether harsh seasons, or my harsh past, I will continue to be rooted in you, strengthened in the faith, and overflowing with thankfulness. Let me look to you and remember the promises you have for me. Amen.